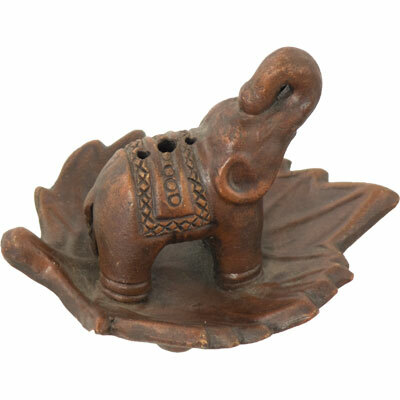 Ceramic incense burner hand made in Nepal, with different size holes to accommodate incense sticks and doop. In Feng Shui, the elephant is a symbol of strength, greatness and dignity. Place it facing the main entrance door to symbolize arrival of good fortune. This incense burner is 3.5 inches in height, 4.5 inches in length, and 3.5 inches in depth.